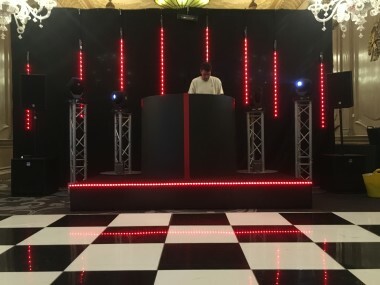 Our stunning custom made to measure Black Curved DJ Booth is perfect for any occasion, It includes a purpose built shelf to house the DJ equipment so that your DJ can work comfortably. 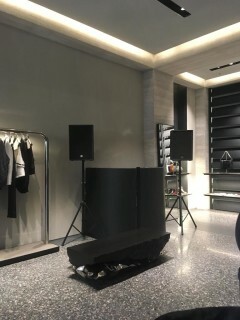 The shelf can hold 2 x Decks, 1 x Mixer and 1 x laptop. 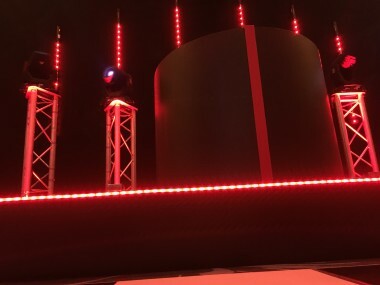 This booth will hide all cables so that your set up looks neat, stylish and tidy. The central strip can be supplied in red or black at no additional charge. The strip can also be changed to another colour at an additional cost. It is a must have at your wedding, party or product launch! 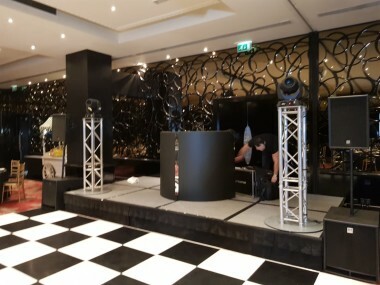 A great focal point for your DJ. Used for a number of store and product launches as the booth fits into the stores without being too bulky. Check out our custom staging for you event.